Ibrahim Mohamed Solih was sworn in as President of the Maldives on November 17 offering a great opportunity for India to revive relations with the Maldives damaged by Chinese rapacity in the region. Prime Minister Modi took pains to attend oath ceremony to signal India’s regained influence over the archipelago nation. He was the highest-ranking foreign leader present. Outgoing President Yameen was a committed Chinese acolyte who literally mortgaged Maldives to China. Incumbent President Solih got a scare when Yameen refused to budge probably at Beijing’s promptings. However, the transition was eventually smooth. China promptly dispatched Luo Shugang, a special envoy of Chinese President Xi Jinping and Chinese minister of culture and tourism to Male to ensure continuance of Chinese interests. China slapped commitments such as firm adherence to one-China policy, willingness to strengthen high-level exchanges and deepen cooperation under the Belt and Road initiative (BRI) on Solih’s new government as early as the day after inauguration. Former President Mohamed Nasheed whom Yameen had exiled abroad is now appointed as new President’s adviser. Even though the China-Maldives Free Trade Agreement (FTA) is likely to take effect soon, Nasheed said the new Maldivian government will withdraw from the FTA with China and promised a review of Chinese investment in the Maldives. Maldives relies heavily on imports. Tourism is the mainstay of its economy. 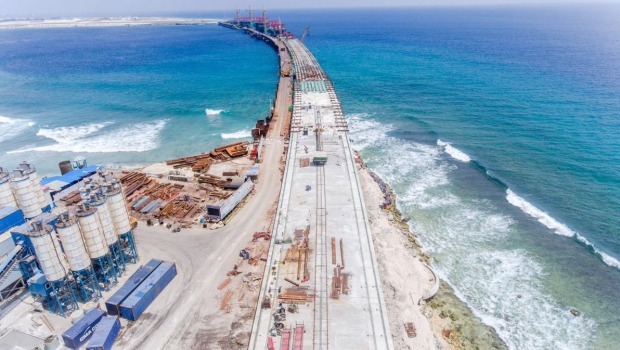 Judging the backwardness of infrastructure China offered many large-scale infrastructure projects such as ports and bridges under the BRI in Maldivian shipping and tourism sectors. China is Maldives’ largest source country for tourism. In recent years Chinese tourists to the Maldives exceeded three lakhs per year. China has already made massive investment in the Maldives. It is wary of protecting those investments in the new dispensation. Solihwill need more economic assistance from India. He also highlighted the need for increased housing and infrastructure projects, water and sewerage systems in the outlying islands, expecting India’s assistance. Modi assured help in “every possible way.” The debts of South Asian countries are the result of China’s investment at unaffordable terms. Nasheed made the pertinent remarks based on his knowledge of the situation as ex-President. But given Solih’s political standpoint, the new Maldives government is likely to manoeuvre among countries like China, India, the US and Japan to maximize benefits. Five years since the BRI was proposed, China has palmed off innumerably unviable infrastructure projects using corrupt means of bribing the top leadership of poor countries. Hambantota experience has alerted countries to avoid falling victims to the lure of Chinese offer that continues to impoverish recipient nations in the neighbourhood through debt trap. China won’t like the BRI to trigger geopolitical competition. It would refer to the agreement arrived at Modi-XI unofficial meeting in Wuhan in April, Xi to promote “China-India Plus” cooperation in South Asia and the Indian Ocean. China points to Sino-Indian joint training of Afghan diplomats and intends to promote this cooperation model among other countries in South Asia and the Indian Ocean, including the Maldives. Till the other day, China was gobbling the Maldivian cake all alone, threatening India against any venturing into the vicinity. Now that popular mandate has thrown its protégé away, it is talking of cooperation! Double standard, thy name is Beijing. The BRI is coming to be widely rejected by Asian countries for highly inflated prices and dropping construction qualities. A hospital project in Male ran up to 140 million while rival tender was for mere 54 million! Poor Asian countries with serious shortage in infrastructure investment look forward to an alternative development model proposed by the US, Japan, Australia and India. The US has pledged to invest heavily in the Indo-Pacific region to enhance connectivity. In a region devastated by “economic terrorism” model of BRI the new model offers solace and hope.